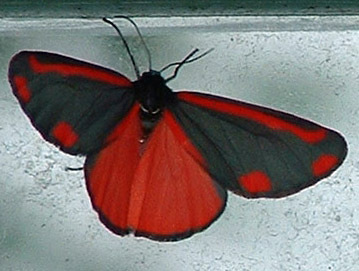 What a great butterfly. This is the third or fourth butterfly that I have seen today! I only get these yellow ones in my yard. Would love to see some different ones! Thanks for sharing your pic. I'm looking forward to seeing butterflies in my garden...if we ever get a Summer here! wonderful shot! thanks for the visit. That colour of red is awesome!! a great shot, very dynamic. Where was that butterfly last year before the Buffalo Sabres (hockey team) changed their colors to Blue and Gold? Their colors were red and black and I loved those two colors together. What a grand photograph this is!!! Beautiful...unusual...and two of my favorite colors. That's gorgeous, I've never seen one like that before. Looks like it should be poisonous! Very beautiful. What great color.